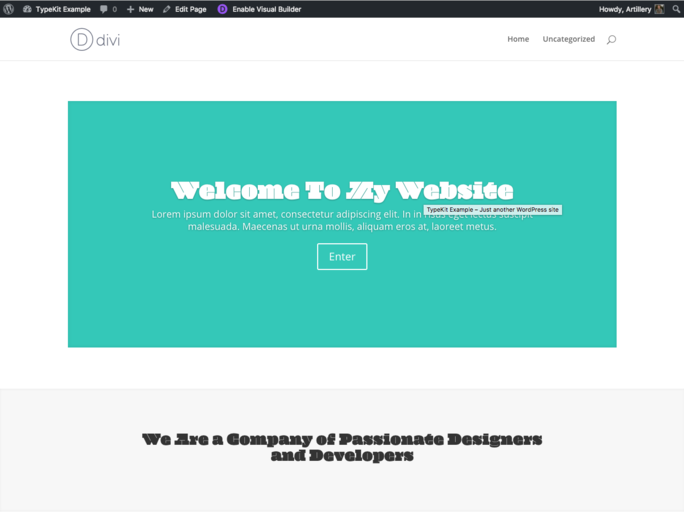 In this tutorial we discuss how to add Google fonts and Non-Google fonts alike to your Divi website. Your designs don’t have to be limited. 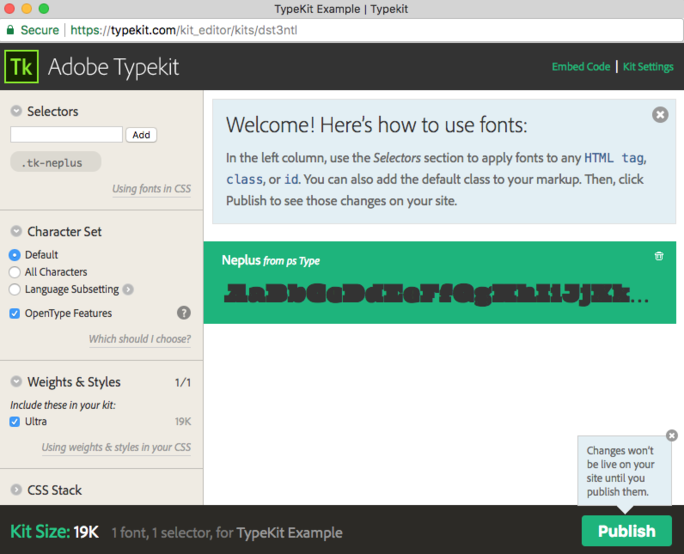 Check out our top three ways to use custom fonts on your website! Adding custom fonts to your website is a great way to stand out from the competition and add your own custom and creative flair to your site. Adding fonts is a fairly easy process but scares many away due to the fact that there is some very minor, yet very simple, coding involved. The difference between using Google fonts vs. any other custom font (.ttf, .otf, or .woff file) is quite simple. On Google Fonts, the font is stored on Google’s servers and you use code to pull from their files. 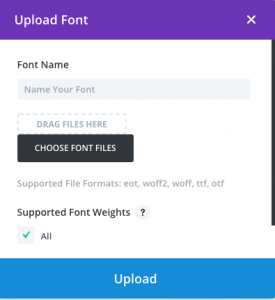 For all other fonts, you download the font to your servers and pull from your own FTP files. Go to Divi Theme Options > Integration > and now paste the code into the head (not the body), and save. Step 8. Paste the CSS rules into the plugin, add any more you want and save! Step 9. All elements selected will now show up as that font! Here is the updated video on how to use the plugin. You can now use this plugin to directly send your custom fonts to the Divi Builder! No CSS knowledge required! We chose Georgina.ttf — download the .ttf, .otf. OR .woff file to your machine. 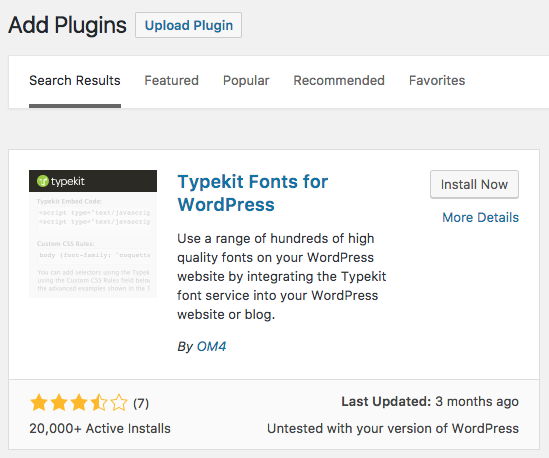 Login to your WordPress site, go to “Plugins”, and Download and install the plugin “Use Any Font” from the WordPress plugins section. 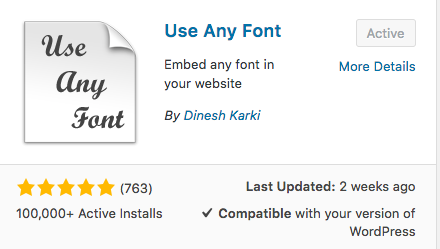 Once activated, click on “Use Any Font” in your WordPress menu. 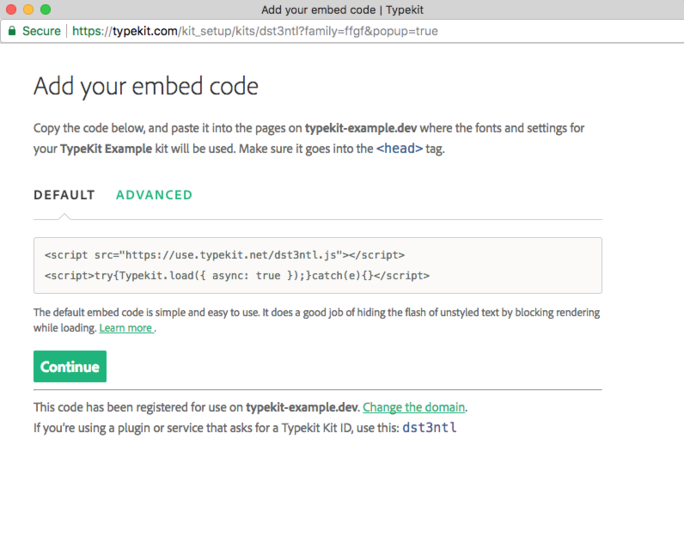 Now you will have to create an API key to activate the plugin. Simply click to add a key and choose the “$0” option if only using 1 font (a minimum $10 is required for more than one font). Copy the API key and paste it into the API KEY section and click “Verify”. 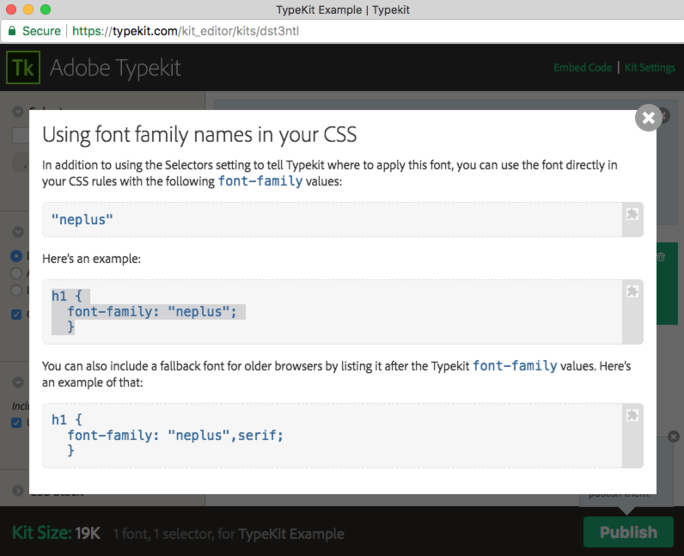 Now we need to assign those fonts to the correct classes, tags, and elements. 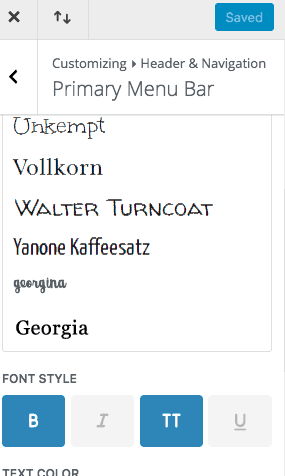 Simply select your font, then click on the tags you would like that font assigned to. In this case, we applied the custom font to the headers, menu items for desktop and mobile, and buttons. Assign font to content from Editor. Custom fonts will appear at top of the list. We also ask you provide feedback as it helps us improve. Thank you!! Did you enjoy this article? Share it with your friends! And thanks for reading! I am not using the plugin. I created a new font folder in my Divi theme and uploaded the webfonts directly via my ftp server. Do I need to manually assign the fonts to the correct classes, tags and elements to get them working properly? Where would I do this? Kaye, I would add a CSS class to whatever elements you’re wanting to use the custom font for. You’ll then need write the webfont CSS to tie the fonts to the class you made. You may need to use the “!important” tag. All of this CSS would be in the Divi Theme Options area. thank you, very helpful. could do it manually, but this was much easier and worked instantly. now just need to target other classes where need be. Thank you for the good article, but it’s a no go for me. This plug-in is a bit of a challenge to say the least! I didn’t want to spend $10 on something and not know if it was going to work so I did the free version and now I have a font that I can’t get rid of, getting a new API Key didn’t work. Uninstalling the program and trying to add the new font didn’t work. The old one still shows and the new one doesn’t. Hours later it’s still not working and I’m looking for another option. Really useful info – thanks! Using Divi can you tell me if I can assign my uploaded font to the Menu text and how to go about doing that please? I have to comment just to say thank you! I had been trying to get my CSS to work for HOURS but thanks to you discovered I was missing the “!important” tag. Literally NO other blogs mention anything about this! WTF?! Alright! 🙂 Glad it served you well! Hey guys, really helpful.We’re building a new wedding specific website however the standard fonts in DIVI don’t quite give the depth of choice. Hallo from Germany, this was just what i was looking for. Just one question. I installed a font called “Gobold Thin.ttf” with the Use any Font Plugin and placed the CSS Code into the Divi Gerneral Options. There ist just one strange thing that i noticed – first letter of each word is a litte bit bigger than the rest letters. How can that be? Hey Murat, Germany! Very cool! 🙂 Where can I look to see this issue? My guess would be if you set all text to uppercase, it will work (either manually or with CSS). Sometimes if you capitalize the first letter of a font that’s already all caps, it looks a little funky. Also, this post is currently being updated by our team. There was a Use Any Font plugin update that works quite a bit better with Divi. More updates coming soon! Sweet. Yes — looks like my previous solution works. the text-transform: uppercase; CSS rule will fix this. Hi, I cannot get Jenna Sue font to work in Divi with use any fonts and my back-end doesn´t really look like you describe. Any tips? Hi Jake, He gave up at Use any font. Couldn´t find out why it doesn´t work. We’ll be removing the Use Any Font suggestion from this post soon. It seems to be failing for many people. Getting an API key is not easy. I want to test this before I buy so I tried to get the ONE FREE and it didn’t work. What am I doing wrong? We’re in the process of editing this post to remove that plugin from our suggestions. My font I added with Use Any Font isn’t showing up in the dropdowns for Titles. Do I have to assign it to something to get it to do that? If so what exactly do I put in the Custom field? Found out the font won’t load in the Divi Visual Builder. You have to go to the normal backend Divi Builder and they will show up. Gotcha. That’s helpful to know. Thanks, Christopher! 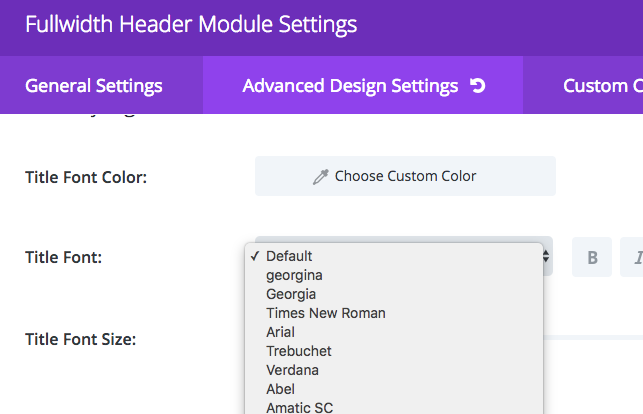 I want to add a custom font avenir light in my Divi theme Menu items. I’ve alredy installed Use Any Font and added the font properly using api key. The problem is the font is not visible in my theme customizer. Do I need to add the css class to integrate the font in my menu items. Then what is the css class of my menu.. I couldn’t figure it out after hard. Would you please give me the suggestion regarding this issue? For your menu, that may be a little more specific as you’d have to allow it for all body types and then select and deselect which elements to include in your CSS stylesheet. 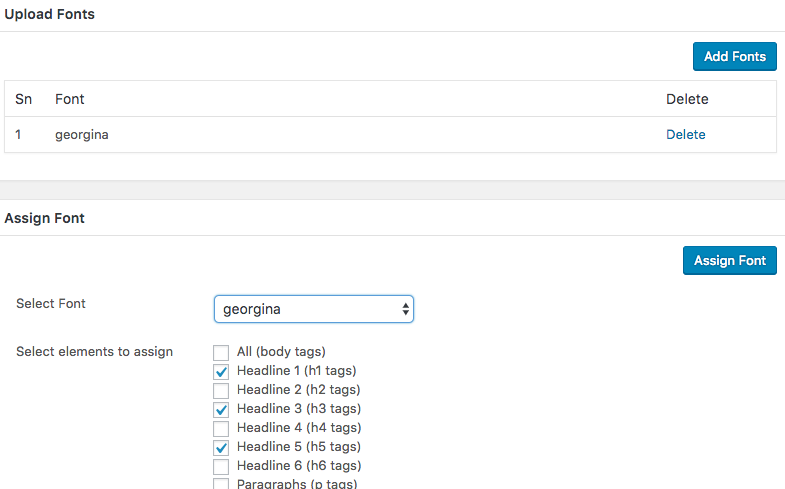 are the fonts only visual in the builder and not in the visual builder, because I don’t know how to check if the font has really changed. Lydia, I’d recommend reaching out to Elegant Themes for more detailed questions. We aren’t affiliated with them in any way. However, to check if a font has been made, preview the changes and you’ll see if the changes were made. Just an FYI on Use Any Font (UAF). I may be doing something wrong, but whatever font I assign to a tag (H1, H3, body, etc.) via UAF, that font overrides any other font in the divi theme customizer (DTC). So once I assign a font via UAF, it renders the drop-down menu in the DTC useless. If I assign multiple fonts, the last font I assign becomes the dominant (for the lack of a better description) font. Found the issue. DO NOT assign a font in UAF unless you want that font to override all other fonts in the elements (tags) for which it was assigned. Example…I uploaded the Ethnocentric font and assigned it to my header elements (tags). This meant that no matter what font I picked from my drop-down in the DTC, only Ethnocentric would be displayed in the header elements for which it was assigned. No other font would work. HOWEVER, when I just uploaded the font in UAF, without assigning it, any font, including Ethnocentric, could be utilized in the header element from the drop-down menu in DTC. Hope that makes sense. Thanks for the kind words! Cheers! Thanks for the kind words! 🙂 Much appreciated. 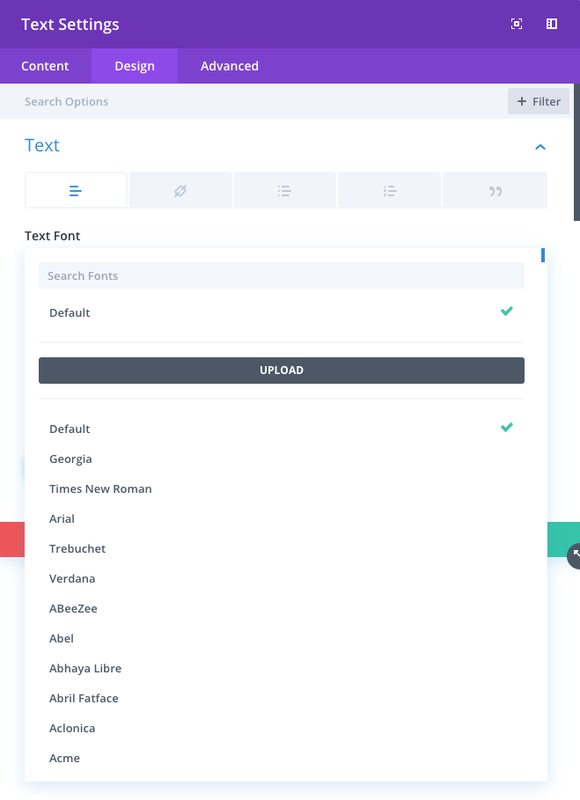 I’m not seeing the option to upload a font in the Divi Builder. I’ve clicked into a “text” module and nothing there either.